What are the Blues? Those mountains just south and east of Walla Walla. The Blues are a long anticlinal ridge composed mostly of basalt flows. 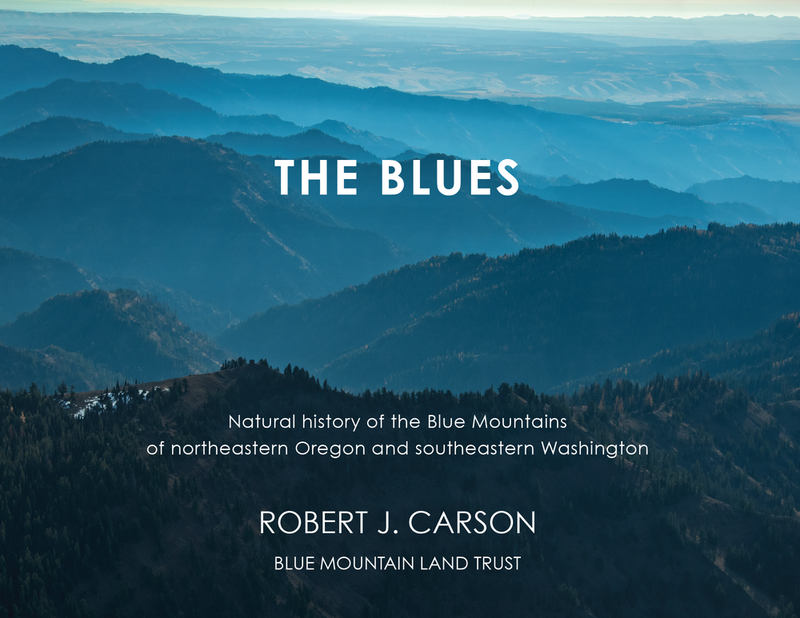 This ridge, which stretches from Clarno, Oregon to Clarkston, Washington, is the northernmost portion of the Blue Mountains physiographic section, itself part of the Columbia Plateau physiographic province, which is characterized by young volcanics. Beneath the Miocene flood basalts are limited outcrops of exotic terranes from near Asia, granite that resulted from melting during a plate tectonic collision, Eocene rocks resembling today’s Cascade volcanics, and Oligocene ash similar to what Yellowstone erupts. Not high enough to have been glaciated like the Wallowas, the Blues consist of upland plateaus cut by deep V-shaped canyons like those along the two forks of the Walla Walla River. Our mountains have magnificent forests, with western juniper at the base and subalpine fir at the top. Other dominant conifers include ponderosa pine, Douglas-fir, lodgepole pine, grand fir, western white pine, Engelmann spruce, and the deciduous western larch whose needles turn brilliant yellow in autumn. Special to the Blues, because of limited precipitation, is the grass-tree mosaic, with dense forests on north- and east-facing slopes, and meadows rich in wildflowers on south-and west-facing inclines. This mixture of grassland and forests provides critical habitat for many birds, large mammals, and other animals.